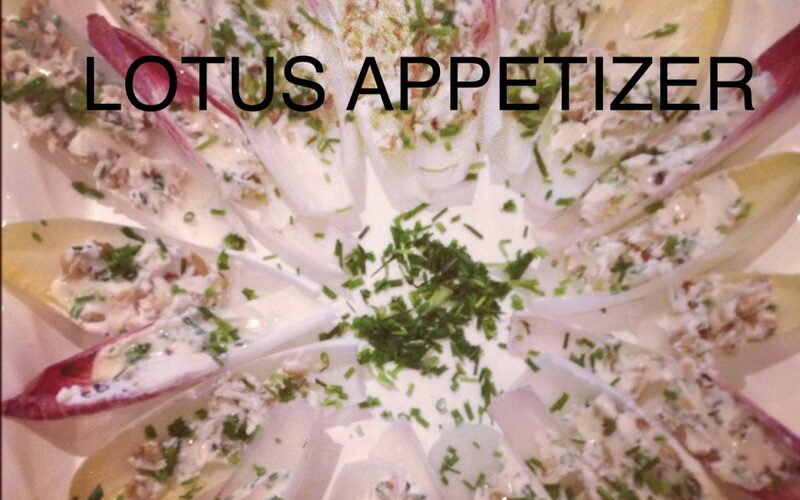 Separate endive leaves into the design of a lotus flower. Mix goat cheese and nuts together and scoop into the endive shells. Drizzle with honey and sprinkle with chives for a simple and impressive appetizer!